Home / Doctors, Staff & Facilities / Doctors / Payam Samouhi, D.D.S., M.D., apc. Dr Samouhi is married and has two children. 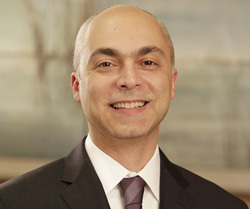 Dr. Samouhi’s interests include science, literature, music, sports, and community activities. J Oral Maxillofac Surg 61: 406-408, 2003.